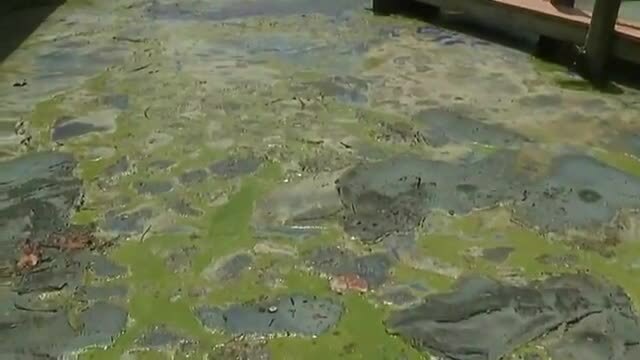 LEE COUNTY, Fla. -- Fox 4 is working to find out more about the nasty algae that are being found in some parts of Cape Coral. Tuesday, we visited a home off Coral Pointe Drive in Cape Coral to check out the thick, blue-green colored algae at the end of a canal. Homeowner Steve Martin says the smell is comparable to a sewer. He and his wife, Dasha, have been dealing with the smell since after the 4th Of July. "It's unlivable. The smell finds it's way into the house," he said. Martin's biggest concern is whether the algae can affect his health. "Is it toxic, is it airborne, do we have to be careful about breathing around it?" he asked. We took a sample of the algae. We then took that sample straight to FGCU's Vester Marine and Environmental Sciences Research Field Station in Bonita Springs to get a close-up look at the sample. Dr. Mike Parsons, Marine/Environmental scientist at Florida Gulf Coast University, put the sample under a microscope. 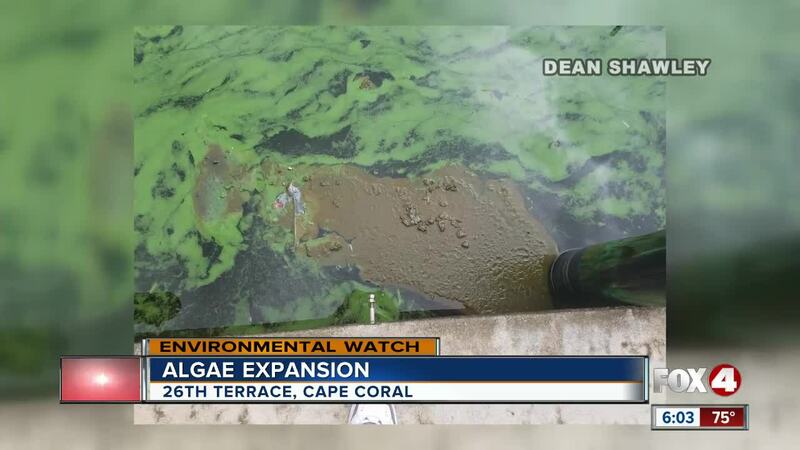 By looking at it, he could tell the algae was the same microcystis we've been seeing floating down the Caloosahatchee River, so the color change of the algae is not due to a new bacteria being introduced. He could also tell some of the cells in the algae were dying. Dr. Parsons says this algae has the ability to produce toxins, but without lab testing, we cannot be 100% sure there are high toxin levels in our sample. He says those toxins, however, wouldn't be airborne unless they're moving with small water particles. "If you feel a spray coming off of it (the water) and you breathe that in, you could breathe in toxins." These kinds of toxins can affect the liver, especially for those who already have a compromised liver. As for getting rid of the algae in Martin's canal, Dr. Parson's says it would take some serious man power, and removal would be extremely difficult for a homeowner to do on their own. "You probably need some big nets, or booms like they use for oil spills," he said. In his opinion, removal is the best solution. If the algae dies in the canal, it will go away on it's own in a week or so. However, all those nutrients will sink to the bottom of the canal, creating the potential for the same problem in the future.